Paula’s Choice Skincare RESIST products and skincare routines are infused with the most advanced state-of-the-art anti-aging ingredients available. Each product and routine can be customized to focus on your specific needs, whether you have uneven skin tone, loss of firmness, fine lines and wrinkles, enlarged pores, dehydration, rough skin texture, dull skin, or oily skin. All of our RESIST products embrace the needs of these skin concerns, but, because not everyone’s skin type is the same, we created two product groups: RESIST for normal to oily/ combination skin and RESIST for normal to dry skin. 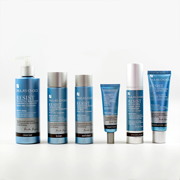 If your skincare needs are primarily about fighting signs of aging, then our RESIST products are where you want to start. If you already are using products from one of our other skincare collections—SKIN RECOVERY, SKIN BALANCING, or CALM—it’s perfectly okay to add specific RESIST products into your routines. Paula’s Choice Skincare is all about customizing your skincare routine to take the best care of your concerns, with the right formulas for your skin type and personal preferences. Are Paula’s Choice RESIST Products Best for You? Many of you have asked how to add RESIST products into your current Paula's Choice Skincare routines; others ask if they should use only the RESIST products, and stop using products from our other lines. Question: Is RESIST only for mature skin? Answer: No, RESIST products are suitable for anyone's skin, if they want to fight signs of aging in the short term, and most definitely over the long term. Question: I'm in my 20s; am I too young to use RESIST? Answer: You can't be too young for RESIST. The ingredients are formulated to address skincare needs at any age. Whether you are 20, 50, or older, you can be experiencing multiple signs of aging, including enlarged pores, uneven skin tone, dullness, rough surface texture, clogged pores, and wrinkles. You cannot lose the benefit of these ingredients by starting too early. Question: How is RESIST different from other Paula's Choice Skincare collections? Answer: There is a broad range of RESIST products, targeted to address a wide range of skin concerns related to aging skin. However, it's not only the RESIST products that benefit skin—all Paula's Choice skincare collections provide anti-aging benefits, thanks to ingredients that help smooth visible signs of aging such as fine lines and wrinkles. The difference is that RESIST offers more concentrated and directed options than the other product collections, which are focused first and foremost on skin type. Question: What if I have wrinkles and breakouts at the same time? Answer: RESIST Anti-Aging for Normal to Oily/Combination Skin is the best option for you. No other cosmetics company has assembled a skincare routine to meet the needs of people who want to tackle their signs of aging but who also are struggling with oily skin, clogged pores, enlarged pores, and signs of dehydration. Our RESIST products won't dry out oily skin or make clogged pores worse. For best results on adult acne, pair these with products from Paula's Choice CLEAR. What is the Difference Between RESIST, SKIN RECOVERY, SKIN BALANCING, and CALM? Whether you're dealing with normal to dry skin or normal to oily/combination skin, the RESIST products contain greater levels of anti-aging ingredients in innovative formulas to fight the appearance of wrinkles, provide firmer-looking skin, reveal radiance, and improve uneven skin tone. The Paula's Choice collections outside of RESIST are first designed to address the needs of specific skin types. For example, the SKIN RECOVERY products provide greater levels of soothing agents and emollients for dry to very dry skin, while the SKIN BALANCING products provide lighter, pore-minimizing, matte-finish formulas for those with oily or combination skin. The difference between the RESIST products and these other collections is that the RESIST products focus on anti-aging, while the other collections focus on skin type. But, the other collections absolutely provide your skin with anti-aging ingredients; it's just not their focus. The RESIST line for normal to dry skin provides skin-smoothing hydration and silky, emollient ingredients that renew skin's appearance, leaving it soft and supple. The RESIST line for normal to oily skin helps minimize clogged, enlarged pores and red areas without drying out skin, while also improving the appearance of fine lines and wrinkles (without feeling heavy or greasy and without making skin feel dry and tight). If you like the results you're getting from the SKIN RECOVERY, SKIN BALANCING, or CALM skincare routines, it's perfectly fine to continue to use them rather than give them up to jump into the RESIST line. Instead of giving them up, use a mix of products from RESIST to enhance the benefits of the other Paula's Choice products you're using. Which other products you select depends on your specific skincare concerns and your texture preferences (for example, gel vs. cream). For example, one or two of our booster products may be the ideal complenment to your existing routine. When Should You Start Using Anti-Aging Skincare? The term “anti-aging” has different meanings for different people. In many instances, it's used to describe a group of products that you must "graduate to" once you reach a certain age. Despite that common way of thinking, the truth is: age is not a skin type! There's no magic number of years when you should start using anti-aging products, just as there's no specific age at which you should start eating healthy, nutritious foods. Skin needs anti-aging ingredients throughout your lifetime—you cannot begin too early—waiting until you start to see signs of aging does not make any sense. Ideally, anti-aging is about giving skin of any age more of what it needs to replenish and renew itself, fight signs of environmental stress, and look younger.